August 8, 2017: What’s NEW (X 7) at SNI! 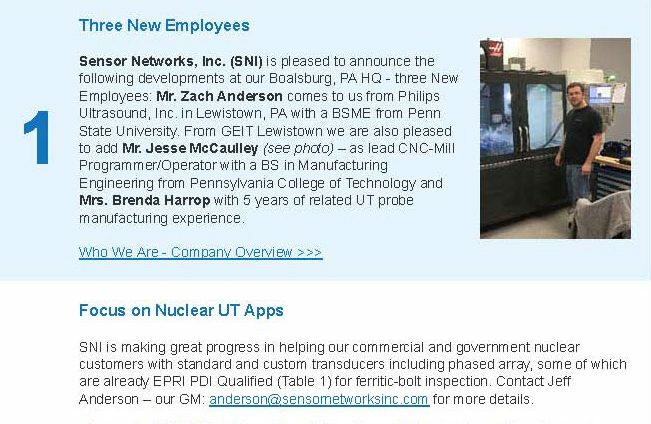 Sensor Networks, Inc. (SNI) is pleased to announce the following developments at our Boalsburg, PA HQ – three New Employees: Mr. Zach Anderson comes to us from Philips Ultrasound, Inc. in Lewistown, PA with a BSME from Penn State University. 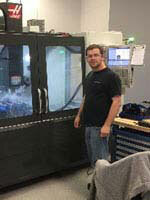 From GEIT Lewistown we are also pleased to add Mr. Jesse McCaulley (see photo) – as lead CNC-Mill Programmer/Operator with a BS in Manufacturing Engineering from Pennsylvania College of Technology and Mrs. Brenda Harrop with 5 years of related UT probe manufacturing experience. 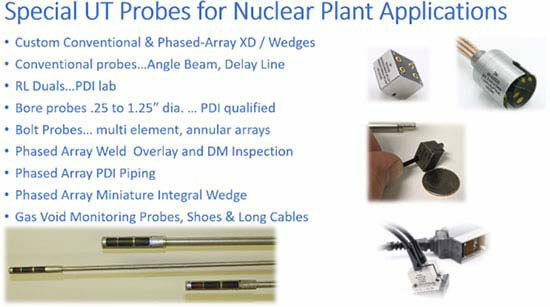 SNI is making great progress in helping our commercial and government nuclear customers with standard and custom transducers including phased array, some of which are already EPRI PDI Qualified (Table 1) for ferritic-bolt inspection. Contact Jeff Anderson – our GM: anderson@sensornetworksinc.com for more details. CAD to CAM with our brand-new 5-Axis CNC Mill translates into extremely fast prototyping of complex geometries which are accurately designed via CIVA acoustic modeling. And check-out our new line of SensorScan™ Quick Swap (QS) industry-standard composite-element transducers. We also manufacture SensorScan Alpha 2DFR and FH2E transducers for Precision and Corrosion UT Thickness gages. Dominion Transmission, Inc. a large midstream asset owner, is a shareholder / member of Energy Insurance Mutual Inc. (EIM). Dominion’s use of SNI’s smartPIMS® Installed Sensors System for corrosion monitoring was recently highlighted in EIM’s 2016 Annual Report. SNI’s product was selected by Dominion due to its ability to accurately monitor individual pits in buried pipe due to the tight beam profile of the 5 MHz dual-element transducer. Please contact Steve (strachan@sensornetworksinc.com) to discuss your Oil & Gas Pipe Monitoring needs. SNI organized its first smartPIMS® Installation & Commissioning Training for our Asia Dealer Team on 10 July. It was a two-and-half-day training with theory and hands-on. We’re planning to have more classes to train and certify our Dealer and Installation Service Providers. Please check with our website for next training. 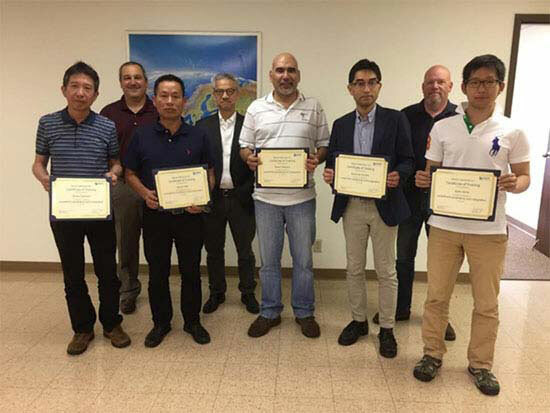 Shinya Fujimoto of Pony Industry (Japan), Steven Wei of Top Star Service (China), Nestor Sequera of SN Integrity (Australia), Ryusuke Tanaka of NDIC (Japan), Daiki Kanai also of Pony Industry. Course Instructors Dr. James Barshinger, Alfred Ng and Mark Feydo (back row) gave the 2.5-day hand’s-on installation course.